Just like trading your wool for madras come summer, evolved men will switch out their standby sprays for lighter ones. So fragrance makers (and the labels that love them) often mix up limited edition batches of your favorite colognes, formulated especially for the sweltering months ahead. Valet test drives eight new bottles and offers some insight. Remember, heat and sweat intensify a cologne's scent, so go easy on the spritzing. A shot on each side of the neck and one on the chest will do. The British brand's signature scent gets the warm weather treatment for the first time in its 12-year history. This limited edition version mixes a more traditional palette of woods and musks (cedar and tonka bean), with citrus and herbs (pineapple and thyme). Smells like the perfect Mai Tai—sweet, strong and a little minty. 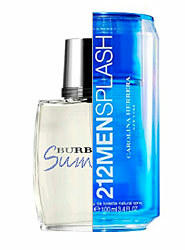 Like cracking open an icy ginger ale (notice the can-like bottle), 212 Splash is an effervescent aperitif of a scent—light yet substantial. The spicy fragrance is loaded with ginger, nutmeg and cardamom but sweetened with watery notes. Smells like cantaloupe and iced chai tea with lemon. Calvin Klein releases special summer fragrances every year, and 2008's Eternity Summer encapsulates a day at the beach: fresh air, water and citrus. We're recalling a favorite Seinfeld episode where Kramer thought up this very bottle ("I could have been a fragrance millionaire, Jerry!"). Smells like fresh-cut grass and salty beach air. A lighter, more modern (read: younger) interpretation of their classic Boss Selection. 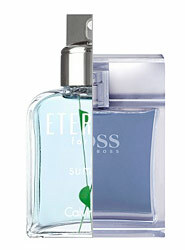 This fresh aquatic fragrance boasts mossy Mediterranean notes mixed with floral undertones of lily and hyacinth blossoms. Smells like a walk through an orange grove—citrusy and green. The "dry down": An industry term for the time it takes for a fragrance to react with your skin and for the heart of the scent to kick in. Average time? 15 minutes. 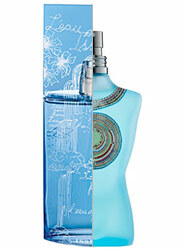 Issey Miyake's L'Eau d'Issey already had a pretty light touch, but this blend is an even sweeter splash. Perfect for fragrance-phobes, the water-inspired scent has citrusy notes of tangerine and lime, grounded by hints of cypress and sage. Smells like you just stepped out of the shower (after using a really nice soap). It seems like all eyes are on Africa at the moment, but this is just a case of inspiration, not cause celeb. Gaultier's Le Male Summer mixes an earthy blend of woods with lavender and vanilla in the familiar torso-shaped bottle, now decked out with a Masai talisman. Smells like leather and incense mixed with baby powder. 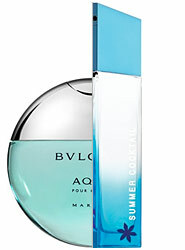 A lighter, slightly sweeter version of the original, Bulgari's AQVA Marine is also a bit more sophisticated—perhaps better suited for summer nights thanks to a cedarwood and rosemary flower undertone. Smells like rainy afternoon at the boat slip. Givenchy's Very Irresistible is warm, woody scent--perfect for a fall evening. The summer cocktail version cools things off with mint and basil, but the addition of star anise keeps it gentlemanly for a go-to date night scent. Smells like a tangy mojito mixed with black licorice.